It’s fair to say British critic Jancis Robinson knows a thing or two about wine. As well writing a weekly wine column for The Financial Times she edits The Oxford Companion To Wine, and has co-authored The World Atlas of Wine and WineGrapes: A complete guide to 1,368 vine varieties. In 2003 she received an OBE from the Queen, whose cellar she now advises on. Her most recent book, The 24-Hour Wine Expert, aims to demystify a topic that attracts more than its fair share of pompous, quasi-experts. In that spirit, Good Food asked Robinson for her list of 10 things you simply must know about wine. There are no rights or wrongs in wine appreciation;you can’t be wrong if you just say what you think. Because what you think is the most important thing. Don’t be cowed by your friend who says there are wine experts and I’ve got to agree with them. That’s a waste of time. Just follow your own nose and your own likes and dislikes. My interview with Jancis Robinson first appeared in goodfood.com.au on April 5, 2016. Read the full story here. 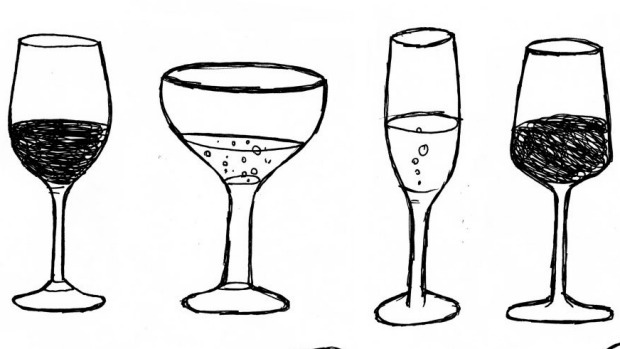 Illustrations from The 24-Hour Wine Expert by Jancis Robinson. Penguin Random House copyright.